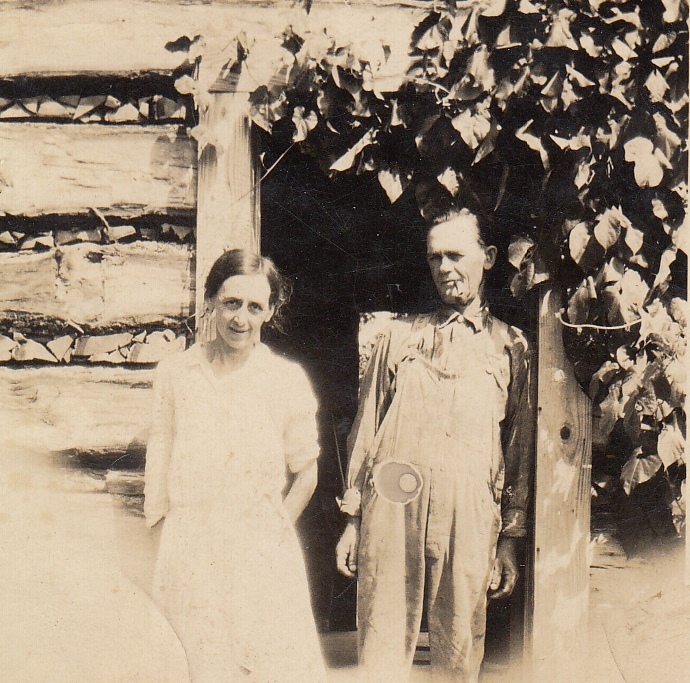 Fifty-five years ago this month, my second great-grandfather, Wilburn Malley Wagnon, passed away at his rural Arkansas home. He was 82 years old. By all accounts, Grandpa Wagnon - Mal or Malley, as everyone called him - was an affable guy well liked by his community. 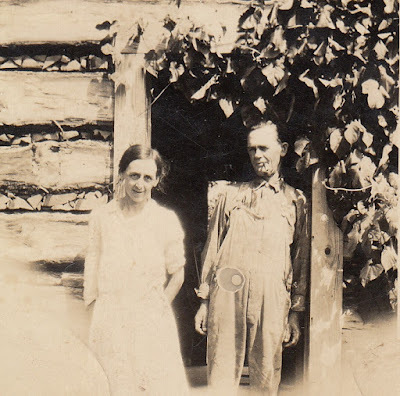 Born in Washington County, Arkansas on February 12, 1880 to John and Mary Jane (Calfee) Wagnon, he was raised in a farming family. 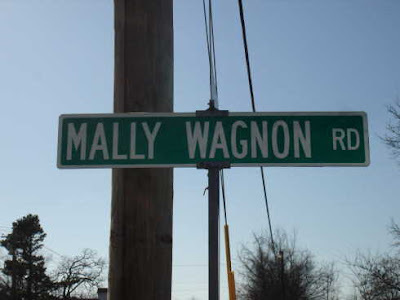 In the 1900 census, John Wagnon was enumerated as a farm owner and his son Malley worked as a farm laborer. In October 1905, Malley married Annie Charles Winkler. 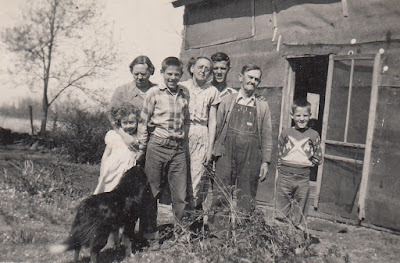 They raised five children, including my great-grandmother Mary Pauline, on a farm in Baldwin, Arkansas just outside Fayetteville. I recently corresponded with a resident of Baldwin who, as a young man, knew Mal and Annie Wagnon. He recalled that, "They were country folk. They were hardworking plain country folk. They were just salt of the earth people. They lived off of what they had. He raised cattle, chicken. They had an orchard. They just lived off the land." The Baldwin resident's recollections painted a picture that brought them to life and made them seem more real. 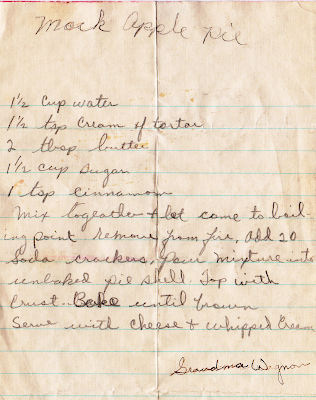 "Annie had homemade dresses...flour sack dresses [with] lace up boots. She had a homemade bonnet that she wore [or] gray hair pulled up into a pony tail most of the time." "She walked all over these hillsides and sold Grit weekly newspapers (delivered on Sunday mornings). She had a route that she run all over the hillside. It cost a nickel [and] out of that nickel she made two cents." Malley was a character who "done a little bit of everything. Mr. Malley stuttered. He'd get ahead of himself a bit. He'd get hung up on words." "He nipped the bottle a little bit. One of my other uncles was a bootlegger and he'd supply Malley with the White Lightning. Boy, Annie hated that! Annie was a front row Christian Church [attendee]. She is on the original roster of the Baldwin Christian Church when it was organized in 1908. When Malley would get to nippin and come home that wouldn't sit well with her." My grandmother Marilyn recalled visiting Malley and Annie shortly after marrying their grandson Charles. She remembered that, "They lived out in this little - I think it was a log house with a tin roof. At least it was a wooden house with a tin roof, and it had an upstairs. She had it real organized. It was nice, but it was very primitive." (left) and her children, including my grandfather Charles behind Annie and Malley. She added, "I ate my first mock apple pie there. Mock apple pie is made using soda crackers and some conglomeration for filling and it tastes just like apple pie. 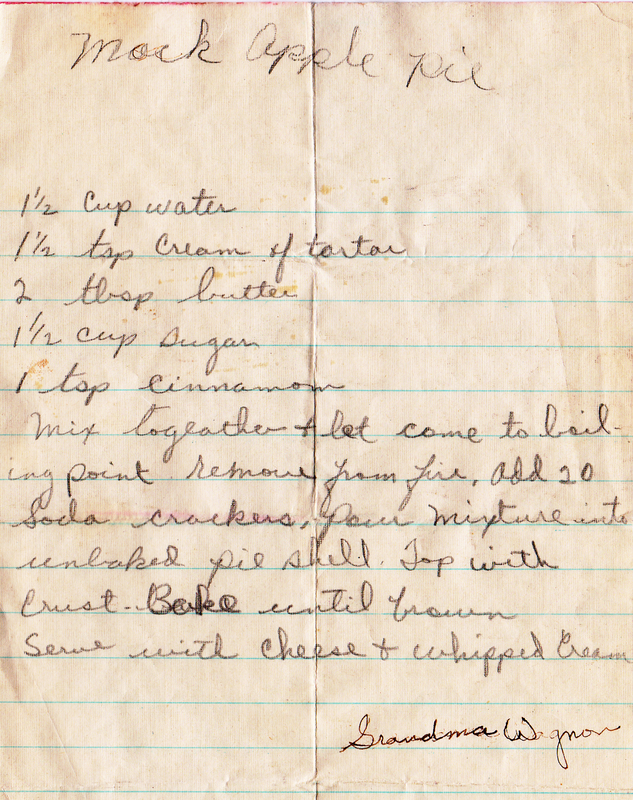 That was Grandma Wagnon's recipe." cookbook collection (believed to be written by Annie). Marilyn reminisced about Annie's earthy character, remembering that, "She was very friendly. All of her grandkids loved her. Grandma [Annie] smoked and she rolled her own. She canned about everything they ate. Even meat." In subsequent visits, Marilyn made a point to bring a souvenir. "[Annie] collected little bitty miniature pitchers. You know, like water pitchers only itty bitty things, so the kids and I would always try to take her a pitcher." Marilyn also told how Malley and Annie took their civic duties seriously: "They would walk to town to vote on election day and cancel each other out. One would vote Republican and one would vote Democrat and I don't recall which was which, but they walked into Fayetteville to vote and canceled each other out. They could have stayed home." When the town of Baldwin was paving old dirt paths, they extended the road up to the Wagnon's home. The road was named in Malley's honor, which seems like a fitting tribute for a hardworking plain country man. I suspect he'd be pleased with that honor. I enjoyed reading about your 2nd great-grandparents. They sound like they were respected members of their community and loving people, too. Thanks, Nancy. I think they were definitely characters, and it does seem like they won over their community. I bet they made lots of appearances in the society pages of the local newspaper, and can't wait for those to be scanned and made available online. Wonderful details! They do sound like real salt of the earth people. Although a bit off color, I love their personalities and count myself fortunate that I have these oral histories to bring them to life. What a lovely post, I really enjoyed it. I hope they get those papers scanned soon, I love the tidbits you can find. When I read those old society pages that reported on many private affairs, I'm always struck by people who complain about the lack of privacy today. They're sure fun to read. Especially when they're about your own family!